2015 Crestliner 1600 Vision Customization with Compromise! 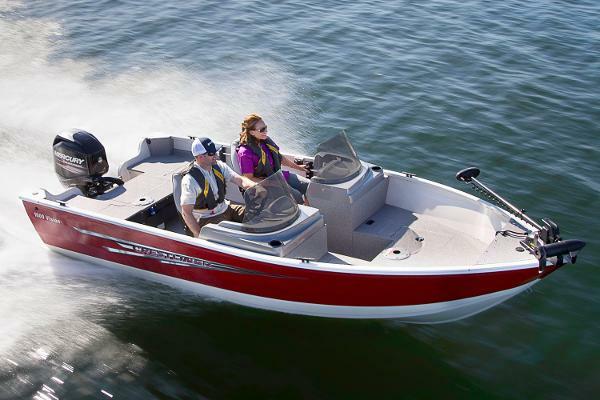 A wide, open bow design delivers fishing features like a spacious livewell, dry storage compartments and optional bow storage nets to keep things where they belong.Also, A large stern casting platform gives you wide open fishing space, while an optional no-slip interior vinyl provides easy cleaning and sure footing in any condition. Some standard features on the 1600 Vision include; a windscreen, no-feedback steering, drink holders, 14gal aerated livewell, bilge pump, corner caps and more. Options on this in Stock Vision include; the MotorGuide fish Package, Elite X3 Depth Finder, custom J Hook travel Cover, a Galvanized trailer and more. 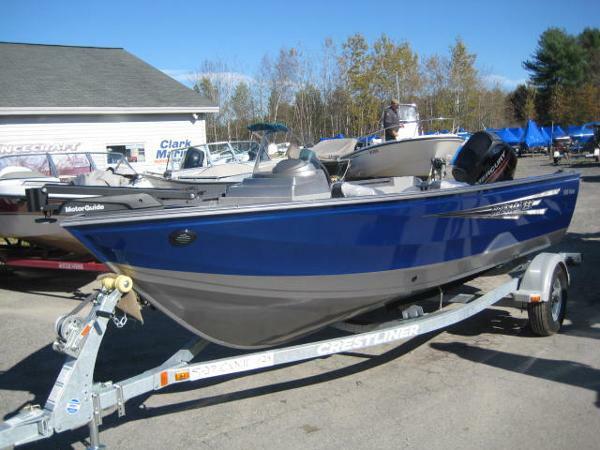 Price Includes; Boat, Motor, Trailer, options listed, dealer freight, make ready, and local on the water orientation. MSRP $22,116 C.M. Discount -$3,721 Asking Price $18,395 Manufacture Rebate: 750$ For JANUARY ONLY. This rebate is not included in the list price. 2016 Crestliner TC 18 This boat model may or may not be in-stock. Please contact your local, authorized dealer for more information.Maneuver your way to the top of the leaderboard with the tournament-ready TC series. 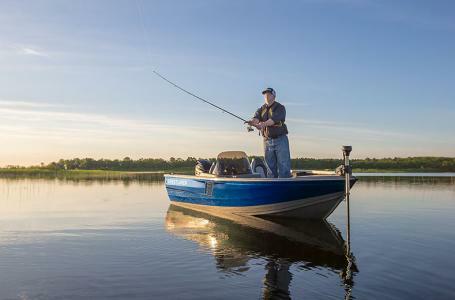 Own every inch of the wide-open casting deck for a full, top-down view of the water, and enjoy spacious livewells so you can keep the casts and reels coming. 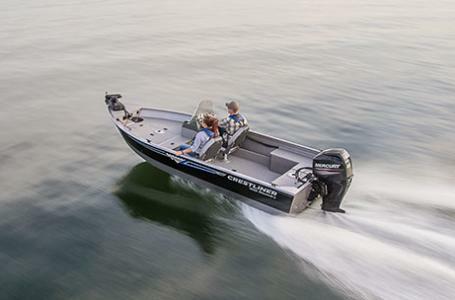 These features and countless more add up to deliver a competitive fishing boat that’s as comfortable as it is fierce. 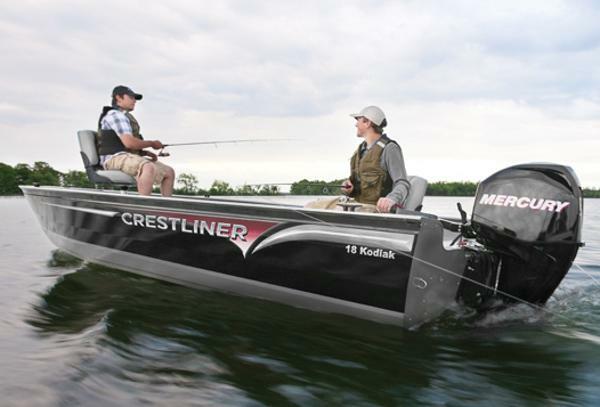 Be the toughest fight on the water with the TC series from Crestliner. This listing is for the base boat, motor, and trailer with standard features. Freight and dealer make ready are included in the listed price. Manufacture Rebate: 350$ For JANUARY ONLY. This rebate is not included in the list price.Please contact us and we will provide you with a firm quote that includes the options of your choice. RB. 2016 Crestliner 1600 Vision If you’re looking for a fully customizable boat without cutting corners, look no further than the Vision. 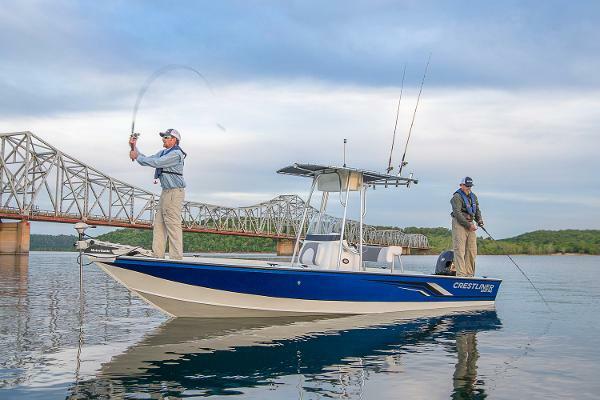 Built from the hull up around your on-the-water needs, its versatility comes from two easy to add, capable packages to elevate your sport or angling performance to new heights. Welcome adventure the way you see it and discover how flexible your day on the water can really be with Crestliner’s Vision series. 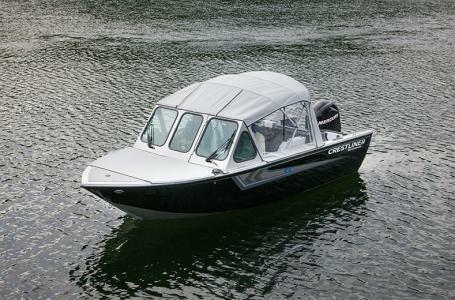 This listing is for the base boat, motor, and trailer with standard features. Freight and dealer make ready are included in the listed price. Manufacture Rebate: 500$ For JANUARY ONLY. This rebate is not included in the list price.Please contact us and we will provide you with a firm quote that includes the options of your choice. RB. 2016 Crestliner VT 19 Get top-flight performance that rides right with the VT series from Crestliner. 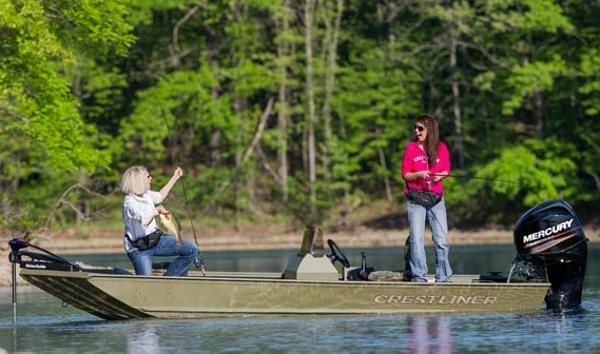 An outstanding tournament companion, the comforts of this bass boat give you a full-on competitive edge with every cast, reel and adventure you meet. 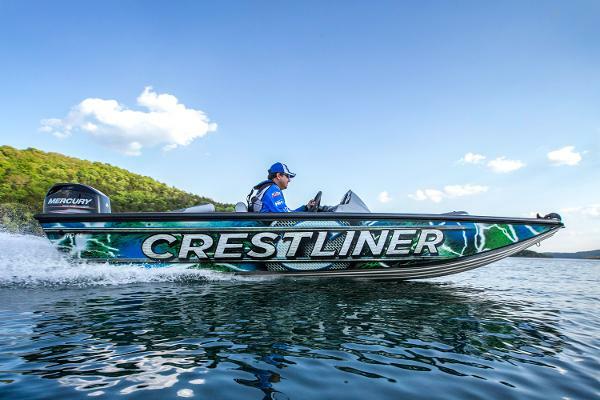 Add in the loaded fishing features that make this a serious competition-honed contender, and it’s easy to see how Crestliner’s VT series is one of the most popular bass boats on the water today. This listing is for the base boat, motor, and trailer with standard features. Freight and dealer make ready are included in the listed price. Manufacture Rebate: 500$ For JANUARY ONLY. This rebate is not included in the list price. Please contact us and we will provide you with a firm quote that includes the options of your choice. RB. 2016 Crestliner TC 17 This boat model may or may not be in-stock. Please contact your local, authorized dealer for more information.Built for the anglers who target a variety of species and demand a versatile boat. 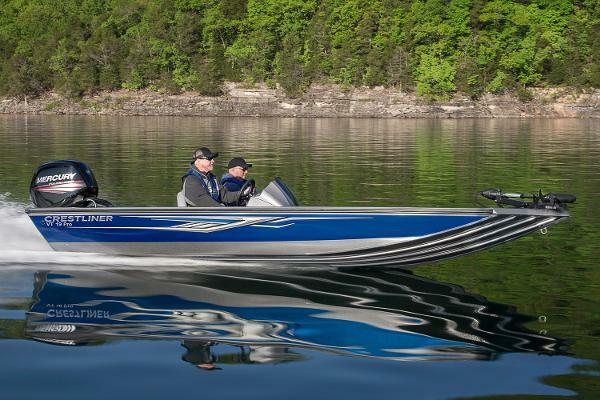 The TC 17 boasts serious fishing features. 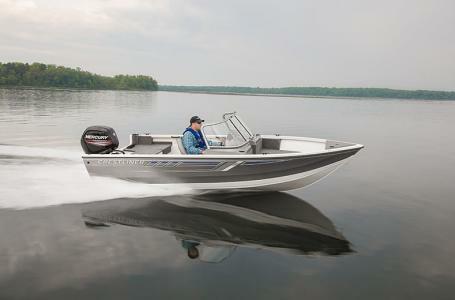 This listing is for the base boat, motor, and trailer with standard features. Freight and dealer make ready are included in the listed price. Manufacture Rebate: 250$ For JANUARY ONLY. This rebate is not included in the list price.Please contact us and we will provide you with a firm quote that includes the options of your choice. RB. 2016 Crestliner 2200 Bay This boat model may or may not be in-stock. Please contact your local, authorized dealer for more information. Break into big water with complete confidence in the Bay from Crestliner. 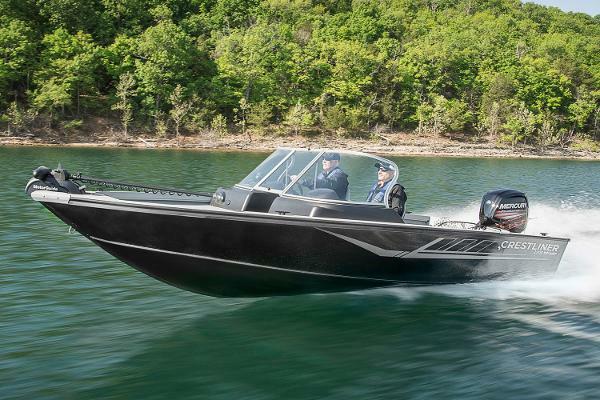 A class all its own, you’ll immediately notice the unmatched stability and smooth, steady ride provided by Crestliner’s legendary all-welded aluminum hull. This keeps easy-riding comfort and dependability right under your feet, so you can focus on the journey ahead. 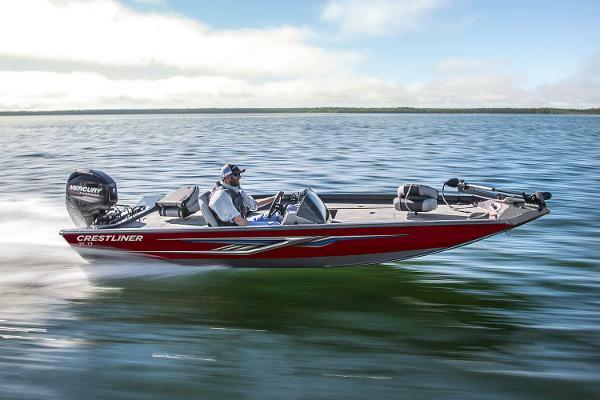 And with fishing features fit to catch a trophy, you’ll see why the Bay from Crestliner is the ultimate boat for open water angling. This listing is for the base boat, motor, and trailer with standard features. Freight and dealer make ready are included in the listed price. Manufacture Rebate: 1,500$ For JANUARY ONLY. This rebate is not included in the list price.Please contact us and we will provide you with a firm quote that includes the options of your choice. RB. 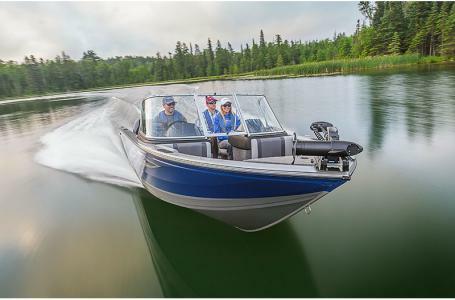 2016 Crestliner 2200 Intruder Get the competition-honed, tournament ready advantage with the Intruder. This fishing machine is capable of catching every species in the water, from trophy catfish to walleye and beyond. 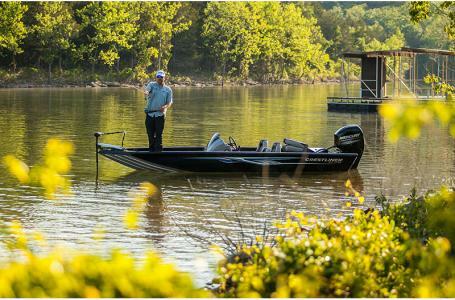 Experience all-day fishing performance with wide-open casting decks and a massive livewell built to hold a full day’s catch. And don’t let the Intruder’s brawn steer you from the comforts that make fishing from it such a thrill. Take adventure head-on with Crestliner’s Intruder series. This listing is for the base boat, motor, and trailer with standard features. Freight and dealer make ready are included in the listed price. Manufacture Rebate: 850$ For JANUARY ONLY. This rebate is not included in the list price.Please contact us and we will provide you with a firm quote that includes the options of your choice. RB. 2015 Crestliner 18 Kodiak The ultra-rugged Kodiak, nothing can stop you!This Kodiak deep-V fishing boat gets the job done with rock-solid reliability and performance. It features an open layout for ample accessibility throughout the boat. With the SureMount Gunnel system you can attach and slide numerous accessories along both sides of your Kodiak. It also has a 22-gallon aerated livewell, so you'll never have to through back that big keeper.Options on this in stock 18' Kodiak include; an up-graded vinyl flooring for easier cleanup and regular maintenance, custom-cut travel cover with easy on/off snapless J-Hooks, and more.Advertising Price includes; boat and motor, options listed , dealer freight, make ready, and local on the water orientation.MSRP $21,726 C.M. Discount -$3,731 ASKING! $17,995 Manufacture Rebate: 500$ For JANUARY ONLY. This rebate is not included in the list price.